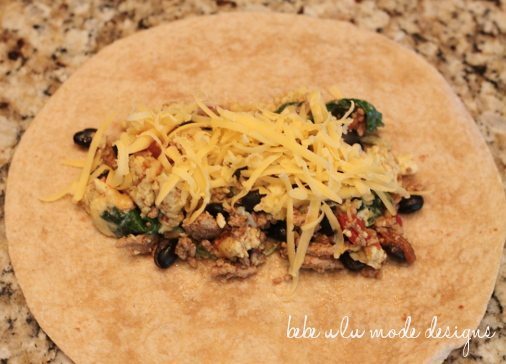 Make these Protein Packed Breakfast Burritos ahead to reheat throughout the week! 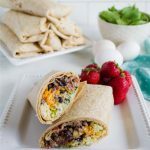 In an attempt to make sure my kids have a healthy breakfast before heading out the door and that our mornings run as smoothly as possible, I started making breakfast burritos to keep in the freezer. Just pull it out, pop it in the microwave and eat. 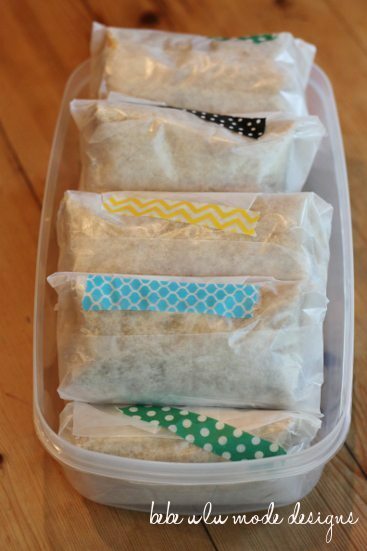 They are filling, yummy and packed with protein to keep their bellies full until lunch time. Mix well and turn heat down to low to keep warm. In a small bowl, beat five eggs, five egg whites, 1/4 cup milk, one teaspoon salt and 1/2 teaspoon pepper. 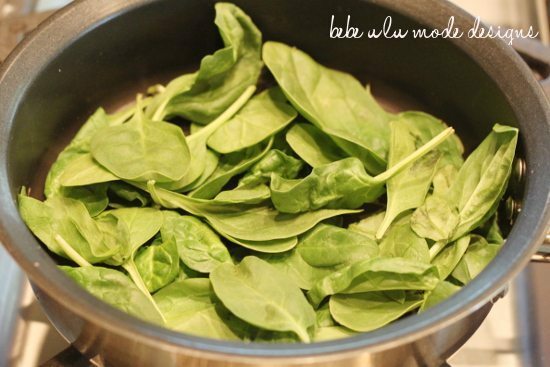 When spinach starts to wilt, add egg mixture. 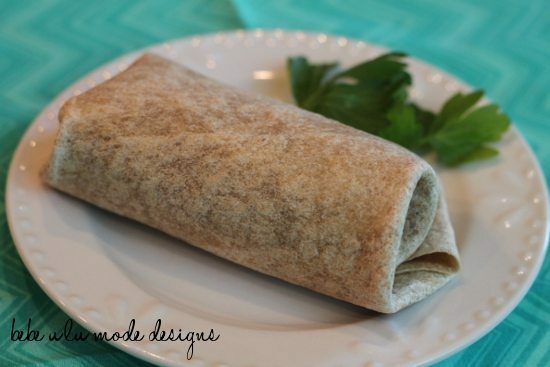 Add a heaping 1/2 cup of the filling to an 8″ whole wheat tortilla. Top with one tablespoon of cheddar cheese. Repeat. 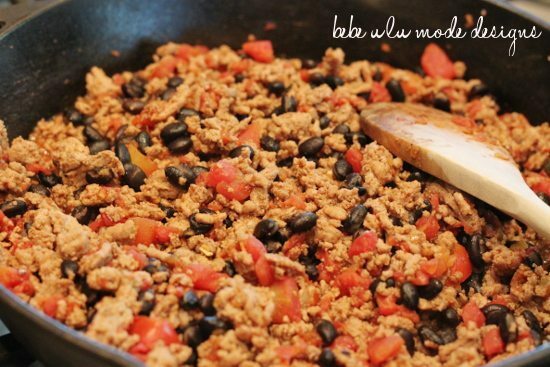 These burritos pack in approximately 20g of protein a piece and are only 320 calories. 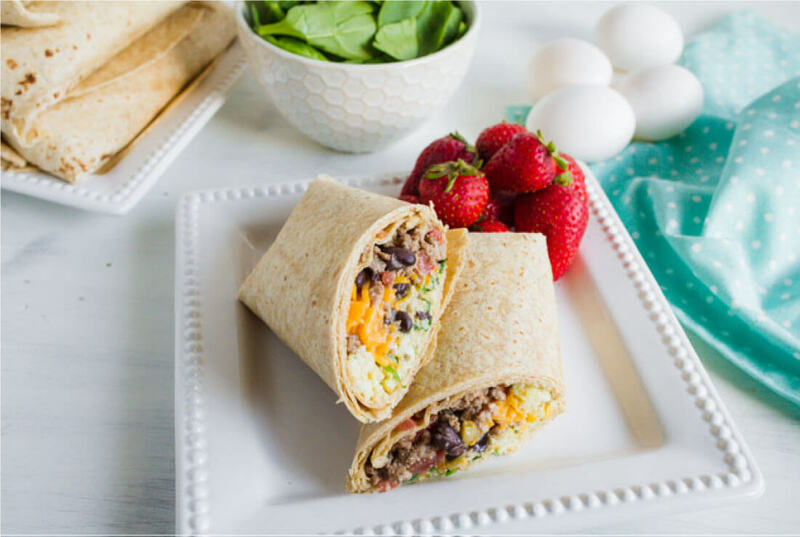 If you love this easy Breakfast Burrito recipe, you’re going to love these other breakfast recipes. Please click each link below to find the easy, printable recipe! I wrap them individually and put in the freezer. On busy mornings, we just pop them in the microwave for 90 seconds, flipping over half way through. 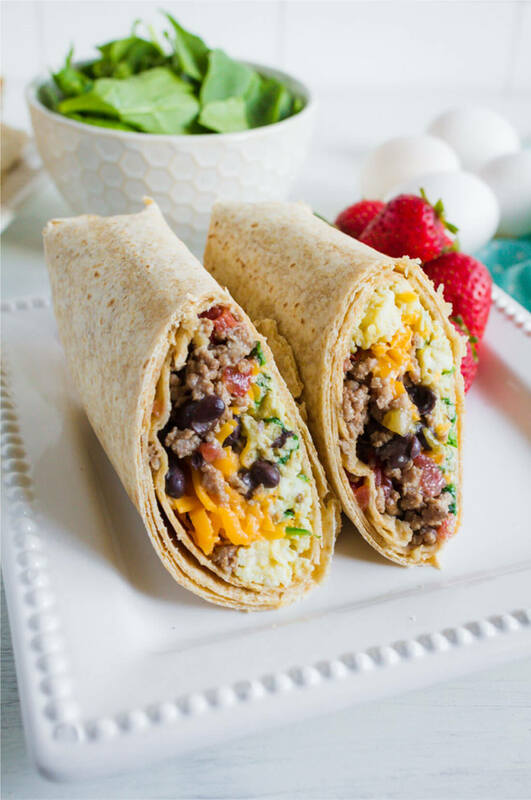 If you love this Breakfast Burrito Recipe as much as I do, please write a five star review, and be sure to help me share on Facebook and Pinterest! 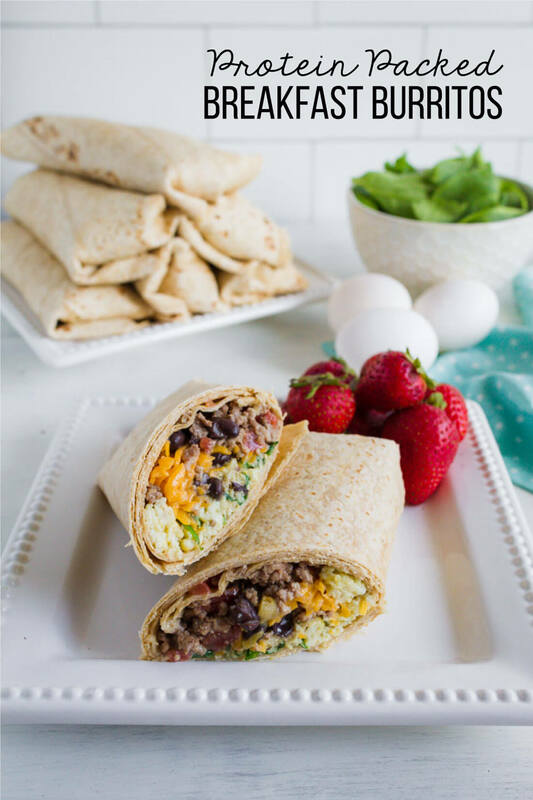 Protein-Packed Breakfast Burritos are an awesome breakfast option - they’re filling, yummy and packed with protein! Plus, they can be made ahead of time and kept in the freezer for busy mornings. 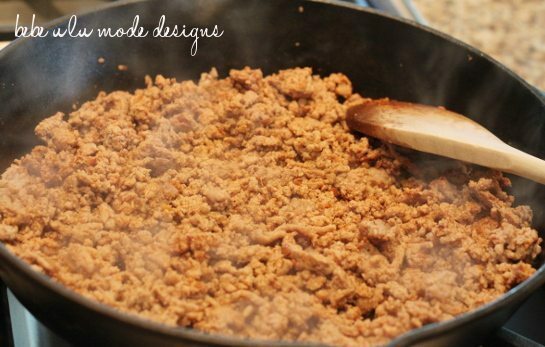 Brown turkey until no longer pink; season with taco seasoning. 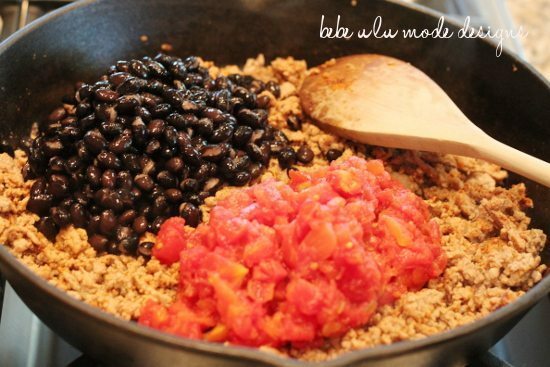 Add black beans and tomatoes; mix well. Over medium heat, saute spinach until just starting to wilt. In a small bowl add eggs, egg whites, milk, salt & pepper. 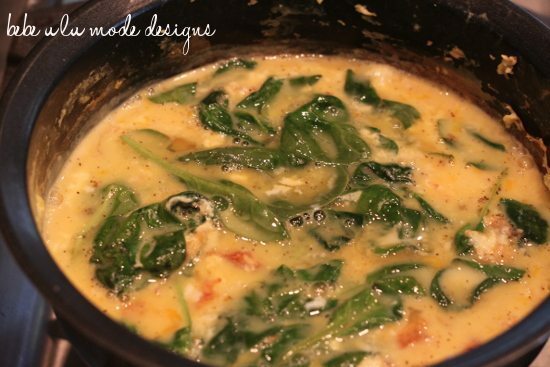 Add egg mixture to spinach; cook until scrambled, stirring constantly. Add egg mixture to turkey mixture; mix well. Add a heaping 1/2 cup to a whole wheat tortilla. Top with 1 tablespoon of shredded cheddar cheese. Fold & repeat. Can be wrapped individually and frozen. To reheat, unwrap and place in the microwave for 90 seconds, flipping over half way through. It’s All About the Food on a Cruise, Right? Silly question, but what kind of paper are you wrapping them in? and is that washi tape? Great breakfast! I really love burritos and when it comes to trying to combine love and health, I always have hard time. You helped a lot! 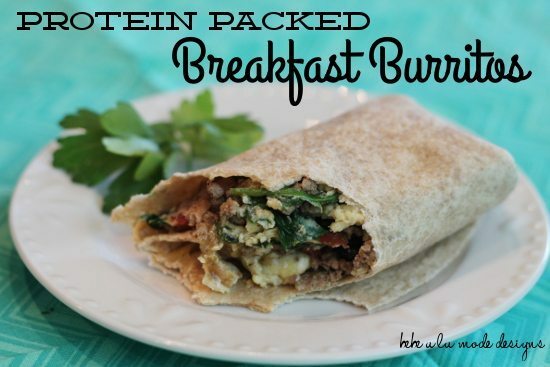 The other for the Burrito was the Protein-packed Breakfast Burrito,sorry about that. Hi Mique, I was wondering for the Pesto Chicken Bundles what the nutrition facts are ? 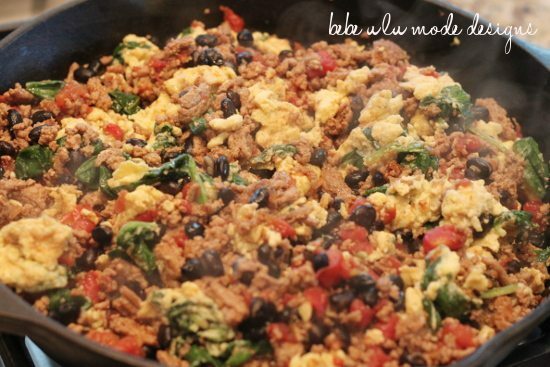 Also for the Breakfast Burrito,Turkey that is. Sorry. Thanks so very much. How long do you think they can stay in the freezer? I dont want them to stay in there without using them and then ending up throwing them away. good idea! I made your breakfast burritos and green bean/tomato with dill recipes. By far my favorite recipe finds!!! They will become a staple in our house and hopefully someday my son will eat them with me :) You have the greatest recipes, because they are simple, delish, and all foods that I actually eat–and have in my house! Thank you! I just made these tonight! They were reallllllllllly gooooooood!!! Thanks so much for the recipe!!!!!!!!!! When you re-heat them do they get soggy at all? If the burritos are not wrapped tight enough and juices seep out, then they can get a little soggy. One way to avoid it, other than a tight wrap, is to reheat fold side down for the first 45 seconds, then fold side up for the next 45 seconds. Awesome! Thanks, am definetly going to try this! This looks yummy! Now that all my girls are in school, I have been grabbing protein bars and eating one while I drive to the gym. I do not get enough protein in my diet. These would taste great while driving to the gym! They absolutely would! They are perfect for an on-the-go breakfast.